Uranium Overdose: AGATHOCLES - Agarchy 7" reissue 2014 out now! 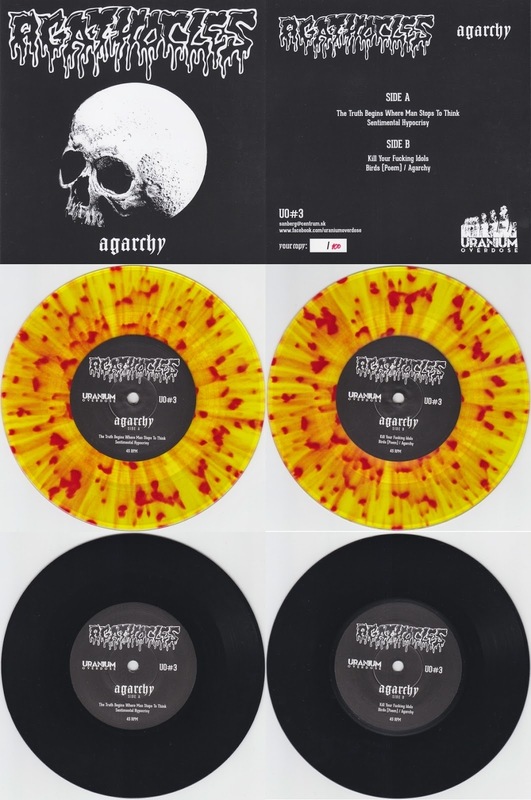 AGATHOCLES - Agarchy 7" reissue 2014 out now! Black vinyl is limited to 200 hand-numbered copies. Or just send a message directly to sanberg@centrum.sk email.